Glam Squad, assemble! 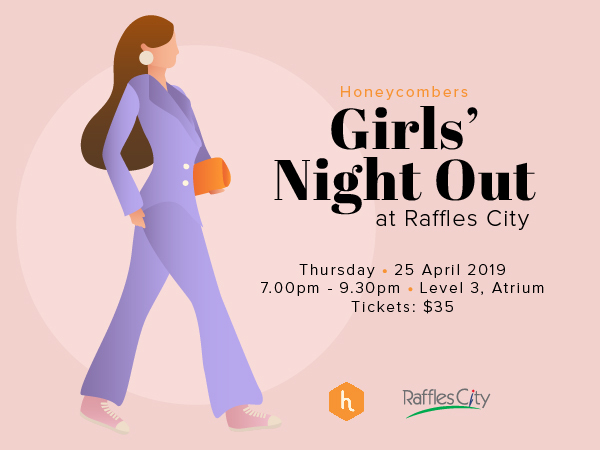 This month, we’re back for another edition of the Girls’ Night Out and it’s all happening at Raffles City Singapore on Thursday, 25 April. Text the girls and block your calendars, you don’t want to miss this one. Come down to Raffles City Singapore for a seriously fun evening with free-flow wine, delicious canapés, exclusive fashion styling sessions, makeovers by M·A·C Cosmetics, hair styling by Dyson and gel manicures by FE The Nail Lounge! As always, the tickets are priced at a cool $35, so you know what to do. Call your friends and book your tickets quickly – you know our Girls’ Night Out events sell out in flash and the Styling Sessions are limited.